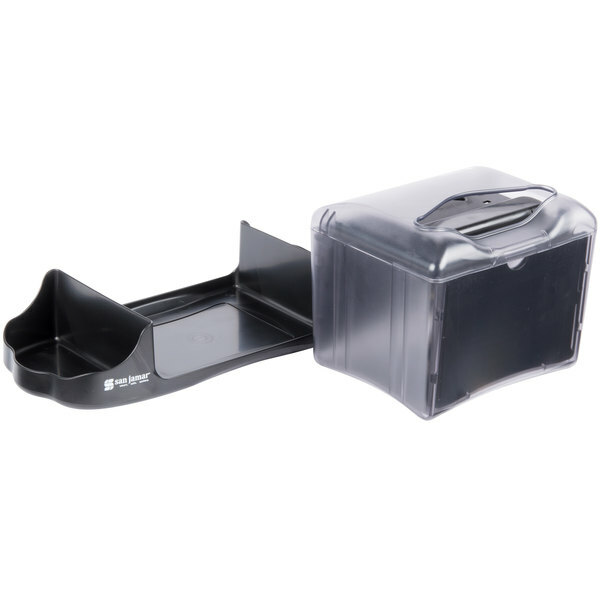 Make sure your guests have easy access to napkins when things get messy with this San Jamar H4003TBK Venue™ tabletop fullfold napkin dispenser with caddy. 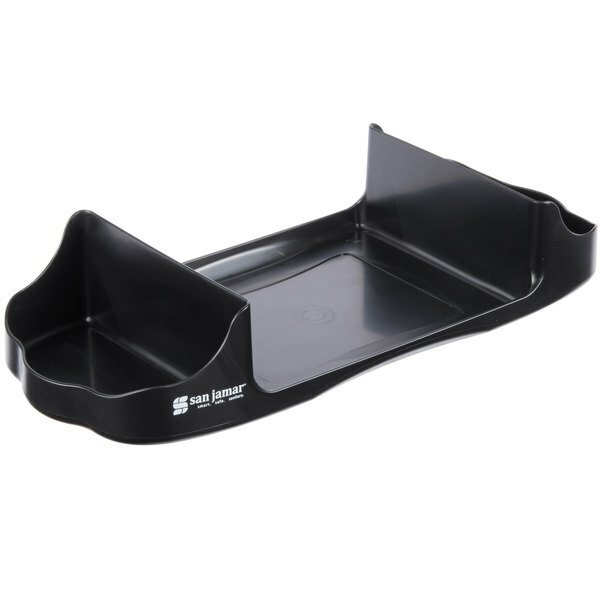 With a space-saving design, it creates a small footprint, and allows for easy dispensing from any direction by way of its top-facing napkin slot. 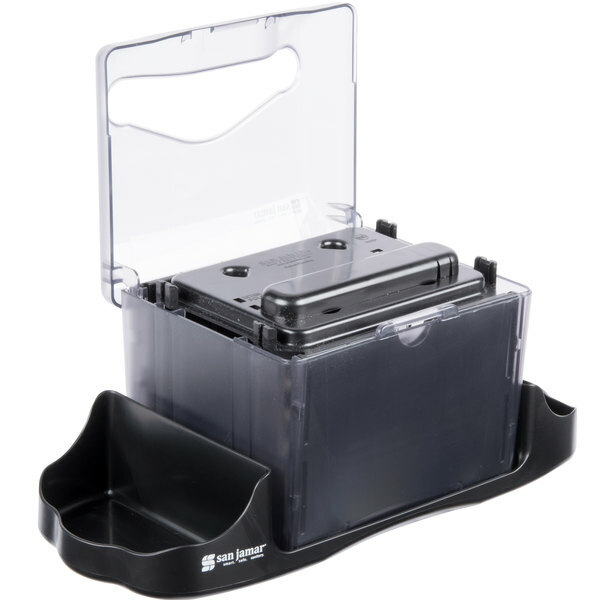 With a one-at-a-time dispensing design and an internal push plate that allows for smooth and easy dispensing, you're sure to save money by cutting down on unnecessary napkin waste. The 200 fullfold napkin capacity ensures that all of your guests will have napkins from the beginning to the end of your dinner rush. 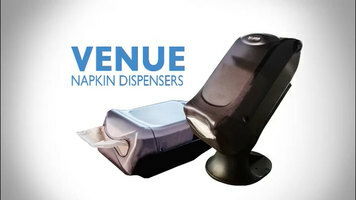 Featuring a unique advertising insert space, this dispenser can serve the additional function of acting as a marketing piece for your establishment. 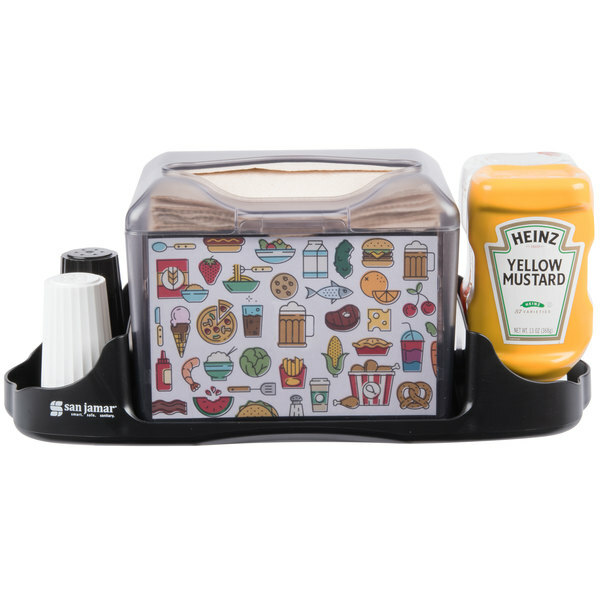 The dispenser fits comfortable on top of the included caddy which can also hold mustard, ketchup, seasonings, and other condiments. Perfect for restaurants, bars, and cafes, this multi-functional dispenser is sure to exceed your expectations! Both the caddy and napkin holder are sturdy and excellent individually, but together they are exceptional. 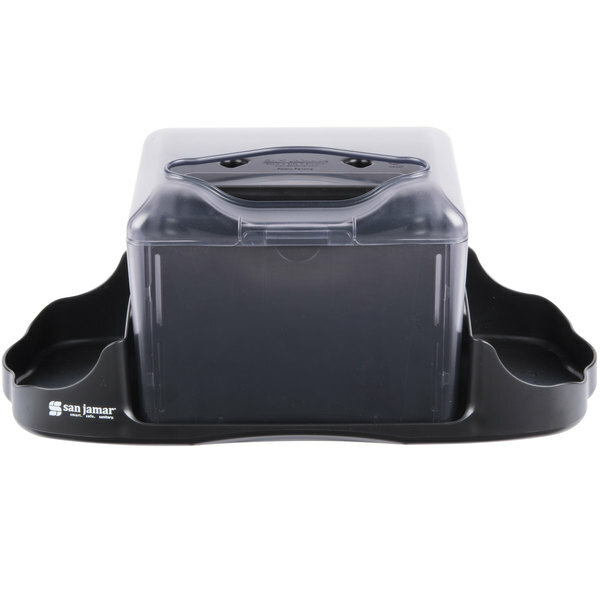 The napkins dispense easily and cleanly, and the caddy holds a lot, without taking up too much space. They look nice, and the combo set saves a few bucks over the individual purchases. the price of the fulfold napkin dispenser is acceptable, i has good quality. costumer easily take the napkin from the dispenser. not big, can be put on the table. 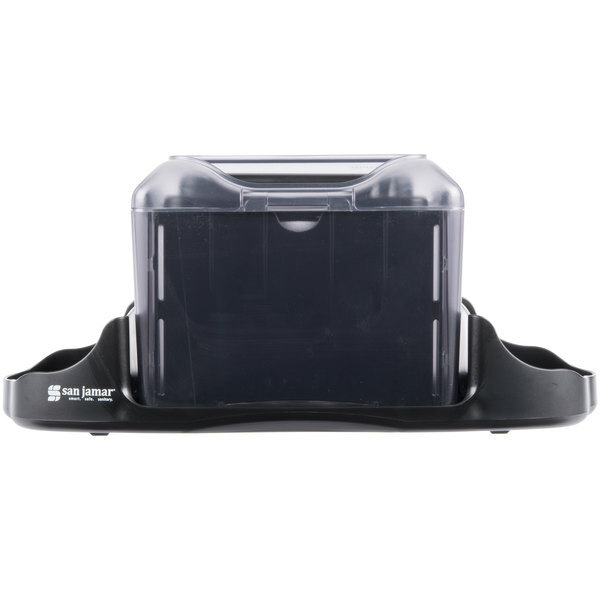 These caddies are a great size for our tables and they hold the napkin dispensers , name holders, salt and pepper, and menus with no problem. Also anti slip so not sliding around the table. This is great to keep on the table for those meals when your looking for a napkin to get that mess quick. Convenient location on the table so your not getting up during dinner. We needed a way to keep our products organized while allowing our customers the ability to serve themselves. The organizer is the best way to keep your items together. This is so great for tables, it keeps everything well organized. 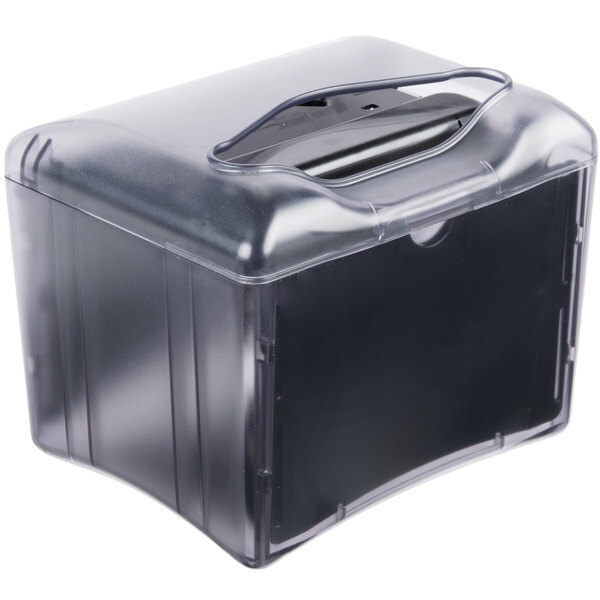 It holds salt,pepper,ketchup, mustard and your napkin dispenser! The dispenser is really well made too, I might add! These napkin dispensers are really practical. 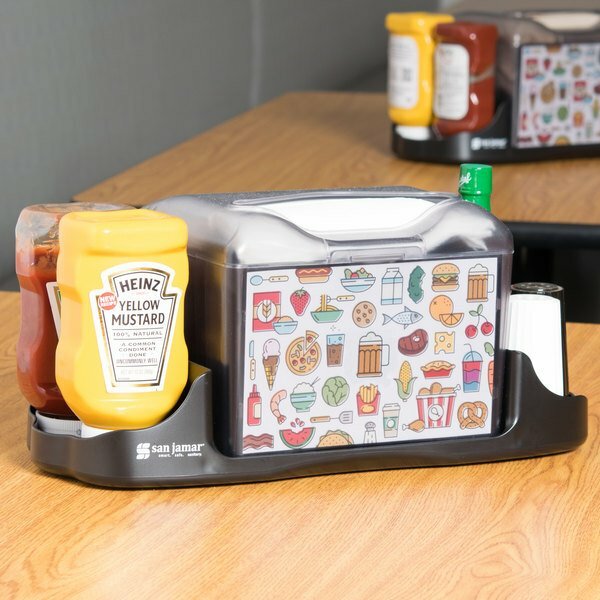 They make it easy to hold all of the condiments together and in place for when you need to move from table to table. 5-star product. Excellent napkin dispenser. I love that it comes with the removable tray and can be filled so easily. The ability to p-lace custom messages on the side is really a great feature. We still have the original messages in ours, but are thinking of creative ways to use that space to advertise our menu items in the future. This tabletop napkin dispenser is great for diners! 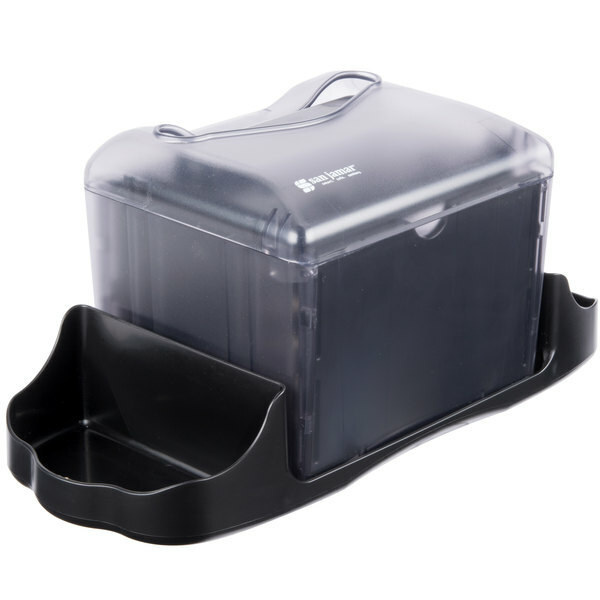 It holds a good amount of condiments and is great for easy cleaning of tables in between guests! !